Minister of State for External Affairs MJ Akbar has received fulsome praise for his speech in Parliament supporting the adoption of the Muslim Women (Protection of Rights on Marriage) Bill, 2017. His speech was, in a way, an about-turn from the position he took on the Supreme Court judgment in what is known as the Shah Bano case. Akbar is said to have been instrumental in convincing the then prime minister Rajiv Gandhi to overturn the judgment in Shah Bano through legislation. On how and why Akbar convinced Gandhi, Firstpost spoke to Wajahat Habibullah, who, after retiring from the Indian Administrative Service, served as Chief Information Commissioner and Chairperson of the National Commission for Minorities. In 1986, Habibullah was in the Prime Minister’s Office and was privy to the conversation between Gandhi and Akbar. 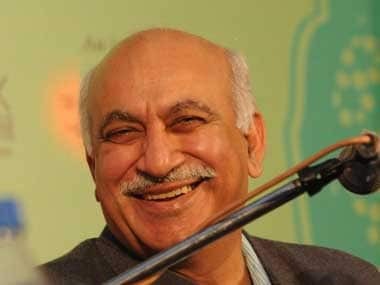 What was your response to MJ Akbar’s speech on the Muslim Women (Protection of Rights on Marriage) Bill in the Lok Sabha? My response was that Akbar was polemical, as politicians often are. As far as the Bill is concerned, it has attracted a lot of controversy. But the idea of legislating on the subject is an important step and is most welcome. But what was your response to the content of Akbar’s speech? 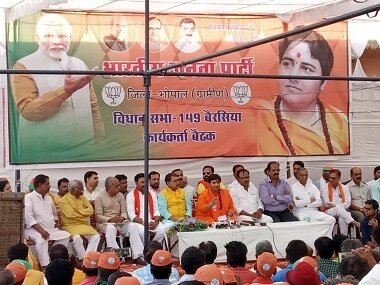 He made his speech from the point of view of his party (Bharatiya Janata Party). But this point of view, judging from the piece you wrote for The Hindu in 2016, is very different from what he espoused in 1986. In the article, you wrote that Akbar convinced Gandhi to set aside the Supreme Court judgment in the Shah Bano case through legislation, called the Muslim Women (Protection of Rights on Divorce) Act, 1986. What happened? After the Supreme Court delivered its judgment in the Shah Bano case, the Prime Minister’s Office received a lot of protest petitions, primarily from the Muslim clergy, against it. 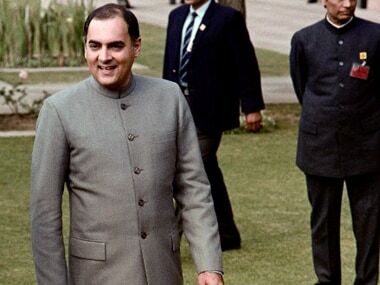 I was the Joint Secretary in the PMO when Rajiv was the Prime Minister. These petitions came to me because I was looking after the minority affairs. Summarising the petitions, I put up a brief note to Rajiv. I said that since the Supreme Court is the last court of appeal, the judgment should be allowed to stand. But if the clergy were insistent that the government should intervene in the Shah Bano issue, then it should tell them to file a review petition in the Supreme Court. All that the government should do is to not challenge that review petition. The note I sent to Rajiv did not come back for a long time. I assumed that he was consulting his colleagues. I had a very informal relationship with Rajiv. We were in school together. Rajiv was a year senior to me in Doon School. Sanjay was a year junior to me. Sanjay was a closer friend. Rajiv was a reserved child. Sanjay was much more gregarious, a very naughty boy, very mischievous. What did he mean by “you are one of us”? (Laughs) I was in the PMO, a friend of his. I was, obviously, one of them. I subsequently discovered that Akbar was the person who persuaded Rajiv that unless the government acts in the Shah Bano case, the Muslims will generally feel that their interest is not the government’s responsibility. In order to reassure the Muslims that if they are concerned about an issue, the government, being also their government, will also be concerned about it. Did the conversation between Gandhi and Akbar take place before you? It continued when I entered Rajiv’s chamber. I can’t recall the details, but what I told you was the gist of their conversation. There was nothing secretive about the line Akbar took. He took this line in his debate with Arif Mohammadd Khan (Khan was in the Congress then and opposed the overturning of the Shah Bano judgment through legislation) on Doordarshan. Khan took the line that the government shouldn’t intervene in the Shah Bano case. He quoted extensively from the Quran to argue that there are certain things in it which are compulsory, but this issue (maintenance for a divorced woman) is open to interpretation. It is essentially recommendatory as to what husbands should do. Its interpretation is not the government’s job, but that of legal minds. Akbar's believed that since there is a lot of concern in the Muslim community regarding the Shah Bano issue, the government should override the Supreme Court and rule through legislation. What I feel is similar to what Akbar said in Parliament and what he said earlier to Rajiv is that he actually thinks. Whereas my view has always been that the government shouldn’t interfere. In the article in The Hindu, you quote Akbar telling Gandhi that if his government contested the Shah Bano judgment, he “would show himself worthy of the support that the community had always placed in his family.” Yet in his last week’s speech in Parliament, Akbar underscored the opportunities India missed under Nehru, Indira and Rajiv to reform Muslim Personal Law. That’s some turnaround, isn’t it? At the very beginning of this interview, I said Akbar made his speech to defend a particular political line. In 1986, also, he was suggesting a particular line to Rajiv, that is to say his intervention (in the Shah Bano case) would be a politically wise decision given the legacy of his family. In Parliament last week, he argued a line that would be in the interest of the party leadership that he is now following. But doesn’t that mark an about-turn? It is an about-turn in terms of the idea projected. But it is not an about-turn in terms of the cause he is defending. In both cases it was a political advice – that the government should intervene in matters such as these (personal laws) is common to both. ...Yes, true. He recommended how the government should intervene then, and he has done the same today. In the article, you suggested that Akbar thought the community’s position on the Shah Bano judgment was a defence of their religious position. Not religious position, but the defence of the orthodox tradition. I don’t think I wrote religious position unless it was edited, so to speak. The stance of the clergy (on the Shah Bano case) was aimed at safeguarding their own authority. So what was Akbar’s position on that? Akbar interpreted it to mean that the clergy’s position was a defence of the Muslim community’s position on Shah Bano. I disagreed with that. It was just the cleric’s view on the subject. So you are making a distinction between the cleric’s point of view and that of the larger Muslim community, right? I wouldn’t go so far to say that. The Muslim Personal Law (Shariat) Act, 1937 was passed to defend the rights of clerics, whom the British wanted to win over. This was because the British had lost their support after 1857. This attempt to win them over had been going on for a long time. The 1937 Act was a culmination of that. The British thought that by winning over the clerics they could control the Muslims. The Government of India, led by the Congress post Independence, inherited this position. The resistance to the Supreme Court ruling in the Shah Bano case was generally by the clergy in defence of its own authority. Basically, in 1986, Akbar stood for going with what he perceived Muslims thought on the matter. And now, he is saying that if the thinking of the community is wrong, the government must intervene. That is a change from 1986, when he thought that even if the thinking in the community is wrong, one must support it, in order to reassure it that its interests are not being overlooked. In The Hindu article you wrote that Akbar convinced Rajiv Gandhi to overcome the Supreme Court ruling in the Shah Bano case. Do you think he was the only person to have convinced Rajiv? There would have been others. I interviewed Arif Mohammad Khan in 2015, and he identified Najma Heptullah as one of the persons who influenced Gandhi. I find it ironical that both Heptullah and Akbar have ended up in the BJP. (Laughs) Rajiv wouldn’t have listened to Najma Heptullah. Yes. Rajiv took him very seriously as an intellectual and a thinker. He listened to Akbar, on Kashmir for instance. I knew Rajiv and I also knew Akbar very well. Though Akbar and I have met on one or two occasions in recent times, I can’t anymore say I am a friend of his. But we were at one time friends. Did Rajiv discuss with you what Akbar thought about the issue? He didn't. I had already made my position very clear. Rajiv was taking a political decision. The ground of his decision wasn’t on what I thought about it. Khan also told me that Rajiv's first and last instinct was of a modern, secular man and that he did not want to overturn the Shah Bano judgment. It was others who persuaded him to do so. The opinion I gave to Rajiv was that he should not intervene. It is possible that when Rajiv engaged Arif in discussion, my opinion could have still been on his mind. It is interesting why Rajiv would listen to Akbar, who was also a modern man. I get it – since Rajiv thought of Akbar as a modern man and an intellectual, his suggestion that the community needs to be reassured must have been significant. That would have made the difference. Would you say Akbar’s arguments weighed on Gandhi and prompted him to overturn the Shah Bano judgement? I do think Akbar’s arguments prompted Rajiv to overturn the Shah Bano judgement. Why didn’t Rajiv discuss Akbar’s suggestion with me? Had Akbar’s idea come from orthodox elements, even, say, from Arif, I do think Rajiv would have asked, ‘Wajahat, you said this, but don’t you think we should also look at it from another perspective?’ But Akbar wasn’t an orthodox. He was of the same thinking as Rajiv and I. Therefore, he didn’t think it made sense to consult me – I had, after all, suggested a course contrary to Akbar’s. I suppose Akbar convinced Rajiv that the Shah Bano judgement must be overturned because it was politically the right thing to do. I don’t think Rajiv decided to overturn the judgement on the ground that it would be good for the community. He did it because he was convinced that it was the politically right thing to do. Rajiv considered Akbar a politically astute person. Whether he was indeed astute, that is another matter. Not only astute, Rajiv looked upon Akbar as a modern-minded Muslim, not easily moved by the mumbo-jumbo of traditions and such like. Therefore, Rajiv would have certainly trusted Akbar’s judgement in overturning the Shah Bano judgment. How do you look upon the BJP’s strategy of fielding Akbar to bat for the triple talaq bill? If the BJP asked Akbar to speak only because he is Muslim, and he accepted it, I wouldn’t congratulate him on that. But if they asked him to speak as a man of authority, because of his association with the Bill that set aside the Supreme Court judgment, that would be justified. I have always shrunk from the idea of being asked to do something because one is Muslim. Luckily, in my own career, I hadn’t sought or was given an assignment position because I was Muslim. 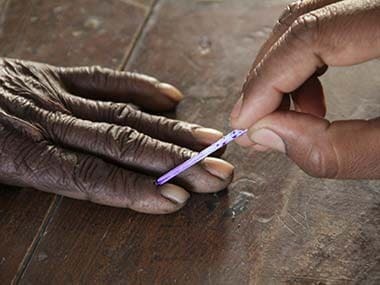 When I was appointed secretary for the first time in 2003 – I was made secretary, Consumer Affairs – journalist Harish Khare (now editor of The Tribune) had written that because of the government’s experience in Gujarat in 2002 (with the riots), it was keen to show I, a Muslim, had been appointed (to the top rung of the civil service). I took deep objection to it. I went to Jaswant Singh, who is virtually like my own brother, and asked him whether what Khare had written was true. He said, no, that he had in fact wanted me in his ministry. Singh was the then Finance Minister. He said his secretary didn’t have the time to attend the meeting (convened for making appointments), and that whenever I wanted to be transferred to the Finance Ministry, I should tell him. He wanted me to handle banking. He had offered me the post later, but I had then gone on a fellowship abroad. What Khare had written was indeed objectionable. What do you think of the rising incidence of vigilantism on issues such as love jihad, cow-slaughter, etc.? I was among a group of civil servant who wrote a long letter expressing concern over the situation in India. My feelings are exactly that – the social fabric of this country is under a great deal of strain. 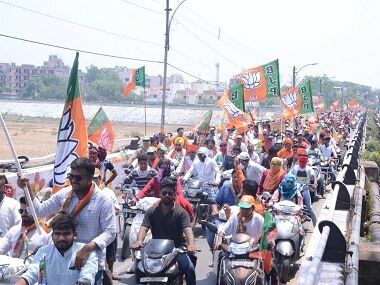 The whole history of India is a movement towards convergence. This came out beautifully in the Mughal times. You may object to the policies of one ruler or another, but the trend during the period, in terms of music, cuisine, poetry, was of intermingling. You couldn’t tell one from another. This hasn’t been recognised. It was a distinct Mughal contribution. It wasn’t there in the time of Sultanate. Then the ruling class was inevitably Muslim. This wasn’t so with the Mughals. The imperial Mughal family was largely Rajput. But these ideas the BJP won’t express. That apart, I haven’t come across a statement from Akbar condemning vigilantism. How do you look at the fact that he defends the government’s right to intervene in the realm of personal law, but doesn’t speak out against vigilantism? All Right thinking people in Parliament should speak out. Akbar is not the only one in Parliament who could and should have spoken against vigilantism but hasn’t. It is not a question of his speaking because he is a Muslim. It is a matter that concerns India. 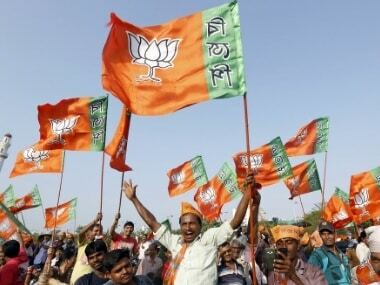 Since India’s social fabric is being torn apart, therefore every conscientious person who is committed to the idea of India – more than a geographical entity India is an idea – must speak out.